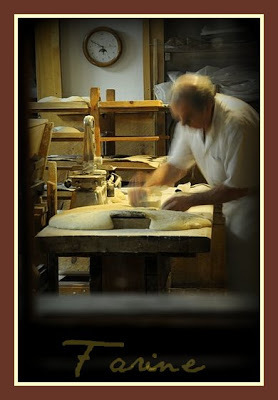 The day after, I came upon Gérard in early morning as he was dividing and weighing the dough. We kept company for a while, then I started browsing through his bread library and was soon engrossed in out-of-print books by Lionel Poilâne, especially Faire son Pain in which he explains how to build a levain chef (mother starter) at home. 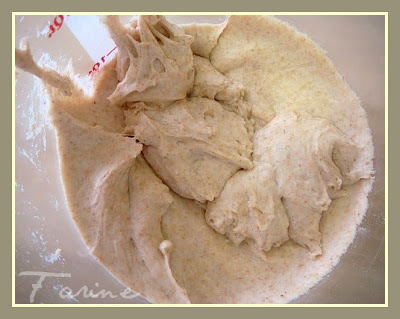 I was surprised to read that, in the first step, Poilâne recommends leaving the future levain (50% hydration) to ferment for 48 to 72 hours at 72-75 º F/22-24 ºC, either in a tightly covered bowl or entirely wrapped in a floured towel. After that length of time, it should have grown by 1/4 and be hole-ridden. 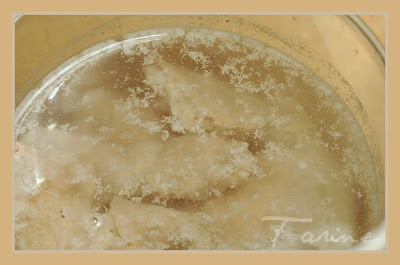 It is then mixed with flour and water and left to ferment again for 24 to 48 hours. 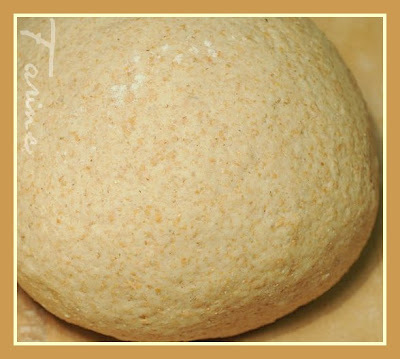 After that, it will have grown by 1/3, have a spongy appearance and be ready to make bread. I scraped most of the wet stuff off and harvested 200 g of crust. Gérard checked what I had collected and said that I could gone even dryer as the crust contains three times as many wild cells as the soft parts but that it would be okay. Bearing in mind that the desired dough temperature was 81ºF/27ºC, I measured 280 g of water at 86ºF/30ºC and poured it over the chunks of crust. While the crust was softening in the water, I measured out the salt and the malt and milled the blend of wheat, spelt and rye berries (see formula for exact amounts). When the crust was soft enough (it took about 15 minutes), Gérard used an immersion blender to mix it with the water. Then we mixed the starter with the flours and the malt, folded it over and over, added the salt and ended up with a plump ball again. So far, so good. Everything was going as planned. The day after, I checked the young levain first thing in the morning. It had already almost tripled. We went ahead and did the fourth feeding (A3 in the formula chart). This time, we didn’t use any malt and the whole-grain flour was carefully sifted to eliminate any coarse piece of grain which would create shafts in the levain through which CO2 could escape. Then we put it to ferment on top of the shelf again. After about one hour, it had already moved considerably. We sniffed it. It smelled delicious. Two hours later it had more than doubled its size and was nicely domed. Gérard said: “Let’s wait another hour. It should have tripled by then”. So we waited and when I got back to check it, I had a nasty shock. It had flat-lined on us and its level was noticeable lower than an hour earlier. We opened the bucket. The levain had turned oily. No hole were visible. Completely limp, it poured out like cream. However no weird smell suggested a harmful bacteria was at work and the taste was normal. Pandemonium ensued as Gérard went into emergency mode. Sorry, no action pictures! First of all I didn’t have the presence of mind to take any, then even if I had thought of it, I couldn’t have as he was giving orders as a captain aboard a sinking ship. Soon I was running around milling wheat, spelt and rye berries, measuring water temperature and basically doing everything but mouth-to-mouth resuscitation to the ailing levain. In a nutshell, what Gérard decided to do was to feed it only freshly milled whole grains until it started acting normal again. That meant a lot of fresh flour to mill and to sift. Malt needed to be added, etc. After two such feedings (no specific time-frame: each time, we waited until the levain had more than doubled to feed it again), it looked decidedly better, albeit still on the gooey side. After the next feeding, it completely recovered and was ready to go home with me. What happened? Well, the strange thing is that the night the levain went south, Gérard noticed a difference in his dough as well. It was slightly softer than usual, although nothing that he couldn’t handle. But the coincidence was interesting. As we were discussing what happened the following morning, Gérard had an illumination. He had had a delivery of all-purpose flour the day the levain fell ill and he had used this new flour in his dough. Since he had loved the way it handled in the first batch, he had told me to use it for the levain as well. Now he suspected the flour was the culprit. He asked me to check the code number on the bag. The code was 353, which meant that the flour had been milled on the 353rd day of the year, i.e. on December 28. January 6 was the day of the incident with the levain and the dough. The flour was nine days old! Not old enough to be used for bread-baking if fermentation was to last longer than 4 hours. The levain had been gorgeous until the four-hour mark, then had slumped. According to Gérard, his batch of dough had been okay because fermentation had lasted three hours. He surmised he would have been in trouble past the four-hour mark. I would need to do some reading to grasp the science behind what happened. But I remember from my classes at SFBI that flour needs to age for about 3 weeks after milling: the oxydation that occurs during this aging period improves the stability and resistance of the proteins present in the flour. 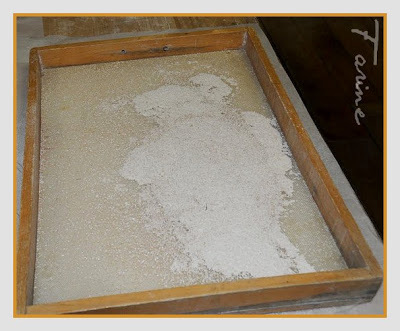 A flour that hasn’t aged properly makes an over-elastic dough which tends to grow “flat” and to stick. Flatness, stickiness and over-elasticity are certainly the right words to describe our levain after we started using the immature flour. I still find it absolutely striking that a dough that seemed to be literally bursting at the seams and ready to dance out of its container should fall back and slump in the space of an hour. It was nothing short of a spectacular event (for a levain aficionado, I mean, as I don’t think the movie would have won me an Oscar even if I had been at the ready with my camera). The flour we milled on the spot didn’t have time to mature either but it contained a healthy dose of protein-rich spring wheat to help with tenacity and enough wild yeast to breathe a new life into the dough. The addition of malt meant that the yeast would have enough food during the fermentation process. I learned from this whole incident that a levain which behaves strangely isn’t sick and ready for the trash as long as it doesn’t smell or taste funny. I am glade the captain did not make you jump ship! And how are you going to deal with your new born? @Judd, me too… 🙂 I am putting the newborn on a tough love diet, with one feeding a day and a constant temperature of 64ºF. Thanks for this latest update on your levain building process. However I'm now slightly confused. In the last Q&A post, I got the impression the levain was being refreshed every 5 hours? Does this refer to a different levain? I'm sorry if I'm being a bit dimwitted here – just trying to grasp what seems to be a very complex process where details are important. Sorry for confusing you, foolishpoolish! In fact during the building of the levain, feedings are not governed by time but by the growth of the levain as Gérard likes to see the levain almost triple before he feeds it again. 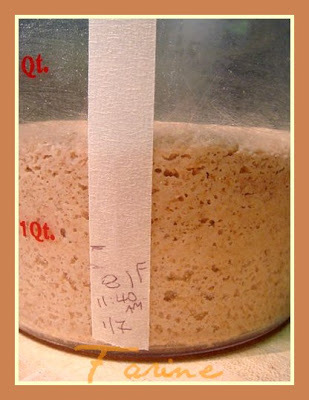 Once the levain is mature (as his is), he keeps it at 79º/80ºF and thus needs to feed it every 5 hours to keep it active and happy. In other words, the temperature decides of the time. Seriously though, I do want to experiment more with a stiff levain – which is why I've been reading this series of articles with much interest. Gérard has the soul of an old-time baker. He breathes bread and levain, believes in time and temperature and doesn't believe in retarding the dough at all. The aromas he gets are proof that he's on to something but however serious we are as home bakers, we still have to make it more than livable. It has to be fun, right? So right now, I am fermenting a dough at 64ºF, doing the folds every hour and I'll see how long it takes for it to be ready. Gérard would see it as anathema: for him, both the dough and the levain must be at 78-81ºF but, as most of us in the wintertime, I just can't do it (my proof box isn't big enough for the two of them and I can't see getting another proof box, one being bulky enough as it is. How stiff would you like to go with your levain? I chose 65% mostly because it is a very nice consistency to mix by hand while being the maximum hydration at which you can really control the enzymatic activity, according to Gérard. I have had firmer levains in the past with good results but they were more of a chore to take care of. My own (rudimentary) use of stiff levain in the past has been at 50% – but that was all white flour. With 30% wholegrain – I think you're right – 65% would be more appropriate. I'm also glad to read about adding salt to levains – something I read about before. I try not to add too much (one does want SOME enzyme activity I suppose). I've resisted building a proof box in the past (partly because I'm not sure where to source the thermostat etc.) – but I keep one room here at a fairly constant 70-75F so that's probably where my levain would live. Thank you for your previous response! After reading about your adventure of the levain creation with Mr. Gerard, I was wondering what happened to the feeding entry for A2? For clarification, did you covered the freshly mixed culture during the A2 and A3 stages with freshly milled flour like you did for A? And when you fed the culture during A2 and A3, did you just used the crust only? A2 feeding was a "normal" feeding (i.e. just the two flours, one of them freshly milled, water and salt). It is only at stage 1 that the disk is covered with a coarse grain blend and it is only at stage 2 that the crust is used. After that, there is no longer any crust as the levain is kept in a tightly closed container, like any other dough. You mentioned the "out-of-print books by Lionel Poilâne" at Gerard's bakery. I came across some information about the collection at Poilâne Bread Library. It says that their collection "… trace the relationship between man and bread across time and civilisations" here: http://www.poilane.fr/pages/en/michemore_culture_bibliotheque.php. Next time when you are in Paris, it might be of interest to you to pay them a visit. Is this book("Guide de l’amateur de pain par Poilâne”, 1981")one of the out-of-print books you saw at Gerard's? MC, is there a typo where your said, "…the third feeding (A3 in the formula chart). This time, we didn't use any malt and the whole-grain flour was carefully sifted…" A3 should read A2? Shiao-Ping, it was A3. I changed "third" to "fourth" in the post. Thanks for pointing out the inconsistency. Re: Poilâne library. Yes, I was referring to the first two books on the list. Gérard has lent them to me though. I am going through the Guide right now. This may sound like a funny question but I am curious to know if Lionel Poilane's book, “Faire son pain“ 1982, has a lot of pictures in it and, also, how you like the book. Do you think the book is out-dated? How does it compare with Hamelman's clssic bread book, "Bread"? p.s. By the way, Poilane's on-line store has a new book, "Le Pain par Poilane," 2005, which is co-authored by Lionel's daughter. It looks like a good book to get. I came back for another read…It stuck in my head that he uses the crust of his last build….I find that very interesting! It almost seems counter intuitive!I am going to try your new dedicated bread today…I ran out of my last Miche! One has to have bread some around! @Judd, Gérard uses the crust of his first build, not the last one. He couldn't even if he wanted to as there is no crust on his levain after the first build (when the levain "embryo" is buried in coarsely milled grain). @Shiao-Ping, yes, "Faire son pain" has a lot pictures and shows a bunch of regional breads. However there is no comparison between that book and Hamelman's. Jeff's book is much much more interesting to us. "Faire son pain" was written with 1970's housewives in mind. You would find it too basic. As for "Le Pain par Poilâne", I bought it last year. It is a beautiful book in many ways and full of interesting bread trivia and I like the chapter on regional breads but there is no chapter on wild yeast (only on breads made with commercial yeast) and, even more to the point, I would hesitate greatly to recommend it to a non-French-speaking reader. I actually went to the store in Paris and asked whether they had an English version as I wanted to get it for an American friend of mine, and the answer was negative. They didn't even say that a translation was in the works… Sorry about that! Hi MC, thank you for the answer to my question. Now, you mention (again) about Gerard's using the crust of his first levain build to further build on it. At the time when I read it I wasn't sure if I understood the rationale. Now, first of all, the first build was simply flour and water, the "levain" had not really formed yet because the "yeast" (ie, the culture) had not really started. 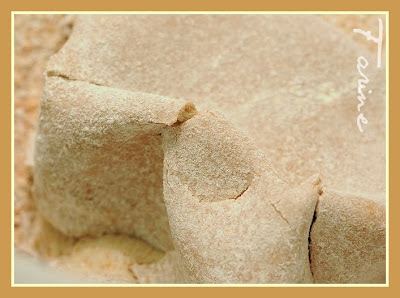 With just flour and water and at the hydration that Gerard was doing, there would be a thick and hard "crust" forming. Now, can you elaborate on the reasoning of using this part, rather than the "whole" of the dry dough, please. Shiao-Ping, Gérard uses the crust (and the crust only) at the end of the first build because the crust is where you find the highest concentration of wild yeasts. That is very interesting. You did say that in your post. (1) Would you say that if you leave the first build longer, then the wild yeasts will have penetrated inwards to permeate the whole dough? Or, put another way, the wild yeast will have developed all over the dough? After all, there are bakers who leave their first build 2 to 3 days before they do the second build! (2) How did Gerard find out about this, through lab test or simply through experience? I don’t want to be too technical, but I just found it fascinating. 1) The wild yeast may well develop all over the dough but he would be afraid of rot taking over. So he'd rather not chance it. 2) He found out through testing. He did build one, then took the wet part and made the second build with it, and took the dry part and made another second build with it. Got 40% more volume with the dry part, from which he concluded that there is much more wild yeast in the crust. Thank you. It just goes to show that if we are willing to take the time to experiment and test our process, we may find many things that we don't know about. As a new sourdough enthusiast, I have enjoyed every minute of learning from Gerard's methods of preparing levain and his bread making techniques. I have followed the 3 steps for preparing the levain, including video clips and wonder what is done with the soft part after harvesting the dry crust from the first build? Is it discarded or is there a further use for rebuilding another harvest of crust? As I see from the comments, maintainance is an individual choice, according to lifestyle. Can you suggest a practical feeding schedule, including flour types/amounts to use and water amounts. Would it be correct to say to use a combination of mixed flours and and all-purpose flour as shown in the "culture formula" chart? Is the hydration kept at 65%? How can one move from this basic levain to a levain requirement of 100% hydration or any level in-between? Where can I find a good source for understanding the preparation and use of different starters and matching them for different bread preparations? Hello, Doughboy, and thank you for checking out the Gérard posts on Farine. Yes, indeed, the soft part of the first build get discarded. G has no further use for them. G would not agree that maintenance is an individual choice according to lifestyle but then his life is dedicated to bread-making, so in his case one flows into the other. He would say however that the feeding schedule is dictated by the levain. I keep my house at 64 F in the winter and thought I might get away with one feeding a day but my starter triples in the space of 12 hours, so I feed it twice a day. If I wanted to feed it less often, I'd have to try and keep it at a lower temperature (say, maybe around 50-55 F). G strongly advises against putting it in the fridge. Refrigerators are usually too cold for the flavorful acids to survive. My levain is kept at 65%. If I want it more liquid, I just take some out and use more water on that particular build, but the chef itself is always at 65%. I also keep a separate liquid starter (100% hydration) which is fed 50% all-purpose flour and 50% high-extraction flour, both organic. The taste is quite different. Twice a day, I do a refreshment using the following amounts : 100g levain, 130g water, 130g organic AP flour, freshly milled flours (30g whole wheat, 30g whole spelt, 10g whole rye) and 0.5g fine sea salt. G recommends not going under 100g for the culture as you lose the important benefits of the mass effect. There are many good books out there: off the top of my head I can suggest Breads by Jeff Hamelman, The Breads from the La Brea Bakery by Nancy Silverton and Bread Baking, An Artisan's Perspective by Dan DiMuzio. These three would be an excellent place to start. You might want to check your library or your local bookstore for more titles. Good luck to you and please let me know how your baking goes! Do you think the high-extraction flour you use is similar to the French T80 or T85 flour? Hi, SP, I truly couldn't tell you as I have never baked in France. It says T90 on the label but the specs indicate that it is closer to 100 or 110. I took a pic of the label and of the specs before I left for the West Coast and I thought I had copied the files to my small computer but I hadn't. As soon as I get home, I'll email them to you if you like. What I can tell you is that it is the most gorgeous flour I have ever worked with, blond with flecks of bran and a tiny bit grainy. Just magnificent…See DonD's comment under Pavé au levain. My goodness, the flour sounds wonderful. You know Poilane uses T80 (in Paris) and T85 (in Leon) for their signature Miches. Don't trouble sending me the specs through email. I'll study your Pavé au levain first. MC — Thanks so much for this wonderful website. I'm in the midst of creating a batch of his chef levain. I've cobbled together – from your various entries and Shiao-Ping's description – what I hope is a helpful recipe (of sorts) for Gerard's chef and three-levain bread, putting it all together in one place for the sake of convenience. (It takes up where your levain formula leaves off.) I would greatly appreciate your reviewing it for accuracy, as much as any of this can be described as accurate. My assumption is that the dough can be scaled back to any degree, as long as the proportions are maintained. * Mixed flours from freshly milled organic whole berries : 30% spring wheat, 30% hard red winter wheat, 30% spelt and 10% rye. If no spring wheat is available, use all hard red winter wheat. Gérard uses spring wheat (which has more protein than winter wheat) in his culture in order to boost the levain's mechanical capabilities. A & A1 as described in levain formula, above. Gather culture into a ball, flatten slightly and place in a sealed container, without flour coating. Let ripen overnight at 81˚F. When tripled in bulk, proceed to A2. A2: Blend 200g ripe A1 culture (discard the balance) with 250g water at 86˚F. Combine 400g flours, add diluted culture, mix briefly, mix in 1g salt, and gather culture into ball, as above. 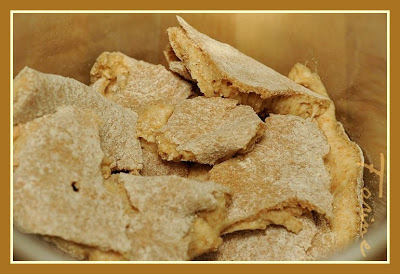 Place in sealed container, without flour coating. Let ripen for 4 hours at 81˚F. When tripled in bulk, proceed to A3. A3: Blend 200g ripe A2 culture (discard the balance) with 220g water at 86˚F. Combine 400g flours, add diluted culture, mix briefly, mix in 1g salt, and gather culture into ball, as above. Place in sealed container. Let ripen for 4 hours at 81˚F. The levain chef is ready to use when it has tripled in bulk and a piece of levain floats when dropped in a large bowl of water. First levain: 300 g levain chef (retain and sustain balance of levain chef through regular feedings), 400 g water and 700 g flours (70% all-purpose and 30% freshly milled whole grains as described above) = 1400 g. Combine all ingredients, mix in 14 g (1%) salt. Let rise, covered until tripled in bulk, about 7 hours at 81˚F. Second levain: 1400 g first levain + 800 g water + 1500 flours (70% all-purpose and 30% freshly milled whole grains as described above) = 3.7 kg. Combine all ingredients, mix in 37 g (1%) salt. Let rise, covered until tripled in bulk, about 6 – 7 hours at 81˚F. Third levain: 3700g second levain + 2800 g water (2650 g in the summer as I don't have air-conditioning) + 5000 g flours (70% all-purpose and 30% freshly milled whole grains as described above) = 11.5 kg Combine all ingredients, mix in 115 g (1%) salt. Let rise, covered until tripled in bulk, about 3.5 – 4 hours at 81˚F. This 11.5 kg of levain will inoculate about 48 kg of flour. Dough: Mix 48 kg of flours (70% all-purpose and 30% freshly milled whole grains as described above) with 38.4 kg of water (80% hydration). Autolyse for 30 – 40 minutes. Add 11.5 kg of levain and 979 g (1%) salt. Combine just until smooth. Yields about 99 kg (218 lbs.) of dough. Primary fermentation: Up to four hours at 81˚F. Let rise, covered until tripled in bulk, folding as required. Secondary fermentation: Up to three hours as loaves at 81˚F. Baking: Steam. 30-40 minutes at about 450˚F. MS, I am so glad you are trying out Gérard's formula. Yes, you can scale it up or down as needed. The only thing you need to keep in mind is not to go too low on the levain amounts. G says that under 100g levain, you really lose some of the mass effect and the loss in aromas is perceptible. So I do one-build instead of three, and it works fine. Keep me posted on how it goes. Also, if you have access to a home-mill, try the freshly milled flour version. It is truly fantastic. Thank you very much for the information about the starter culture amount that should not be lower than 100g. That greatly improves aroma and flavour in particular, as well as overall qualities of my bread. I used to maintain small amounts of starters in both liquid and firm forms that were not more than 100g, and I had been not totally happy with the breads, feeling that they were missing something. When I researched matters about aroma and flavours, I found a lot of other techniques such as retarding, combination of flours, etc… But none of them really worked for my bread. Now I’m very convinced with the mass effect thing in sourdough baking. 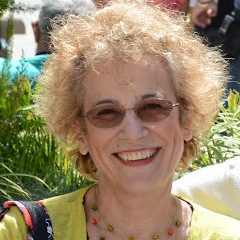 Thanks again for your very interesting Blog! When I researched matters about aroma and flavours, I found a lot of other techniques such as retarding, combination of flours, etc… But none of them really worked for my bread. Now I’m very convinced with the mass effect thing in sourdough bread baking. I am building this levain and though the inital chef is sucessful and cracks and seems lively, after the second build, there is no growth. I'm grinding the berries fresh and I've got good water and AP flour. What could be causing this to happen, I've tried several times. Hello jjones, sorry you are having this trouble. From a distance it is really hard to say what might be going on. I take it you have used malt as recommended by Gérard. The only variable I can think of at this point would the temperature. Is your levain kept at around 75-80° F or at a much cooler temperature? The room is about 77degrees and yes, I am using malt. Are there different types of malt? Is there such thing as a 'bug' in one of the ingredients or steps? Also, if the temperature were much cooler than 75-80 then would the growth just take longer or would it turn liquidy and spread to the sides of the container? Yes, there are different types of malt and the one that should be used here is diastatic malt powder. Malt flour and malt syrup just wouldn't do the trick. Re: the behavior of the levain. What you describe sounds a lot like the problem I had at Gérard's bakery when starting my levain. Everything was going extremely well, the levain was alive and bubbly and all of the sudden it flatlined on us (see the post above). If it had happened to me here at home, I think I would have fed the levain all freshly milled whole grains for a couple of times and see what happened then. I don't know that the levain would start well at cool temperatures but I know that in my house, the mature levain does just as well in the winter when it is 64°F inside (55°F during the night) than in the summer when it's around 78°. It just takes more time to do it.